February 14, 2013 (LocalOrg) – The US State of the Union speech made by US President Barack Obama excited many across the tech community. 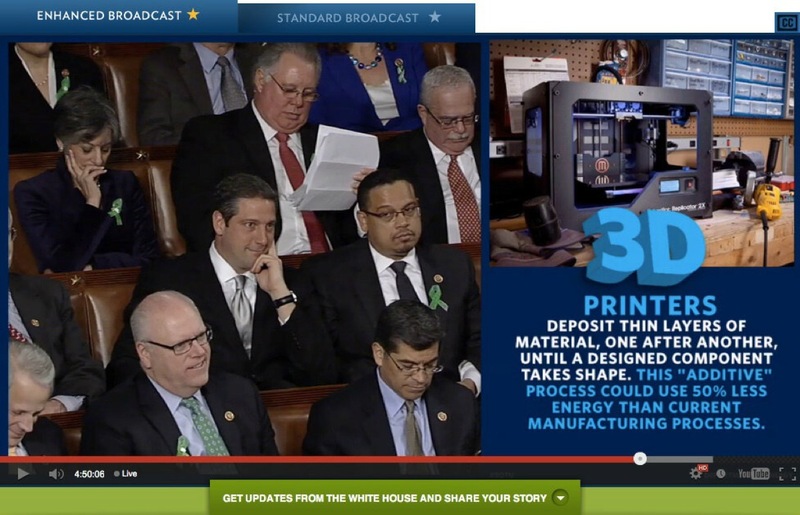 Obama mentioned 3D printing as one of several emerging technologies that might help revitalize US industry. Image: A screenshot taken from the “enhanced broadcast” of President Obama’s State of the Union speech. Seen napping and slumped in their seats, are the vanguards of corporate special interests, ever ready in bi-partisan fashion to betray their voters in the service of big-business special interests, and who, along with whoever occupies the Oval Office, are the cause of America’s decline in the first place. Unfortunately, what many in the tech community seem not to realize, or have forgotten in their moment of presidential aggrandizing, is that Obama represents bi-partisan servitude to corporate-financier interests, the very interests that off-shored the planet’s most advanced and capable manufacturing base in human history in the first place. 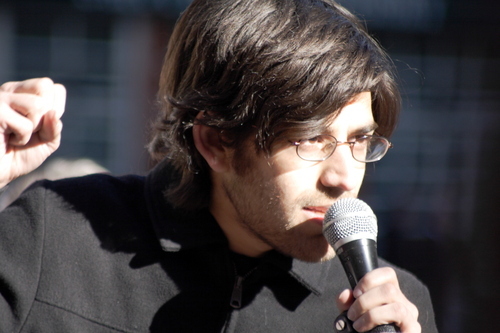 They also seem to have quickly forgotten that additionally, Obama represents the same big-business interests that hounded one of the tech community’s own, Aaron Swartz, literally to death in an intellectual property witch-hunt that allegedly drove Swartz to commit suicide. Indeed, corporate-financier interests realize the threats and opportunities 3D printing represent, and like P2P file sharing, are eager to co-opt, control, monopolize, and regulate this emerging industry to maintain the technological and socioeconomic disparity they have benefited from for so long. The establishment is relying on an old trick, the manipulation of human weakness – the need for recognition, and the prospect of fame and fortune. And surely, those who sellout to special interests as they attempt to wrap their tentacles around 3D printing, may just achieve fame and fortune – but the promise of 3D printing will almost certainly suffer because of it. While it may seem exciting to have the US President mention you during the State of the Union address, it is in fact a warning sign that you have attracted the attention of the very interests that have destroyed this country in the first place, and have left it in need to be “revitalized” in the first place. Obama’s mention of 3D printing is akin to the buzzing of a parasitic mosquito’s wings before it lands, with its hungry, ever-searching proboscis preparing to bury itself inside its host and begin to feed. It is a warning, not a ray of light. It is a reaffirmation of the gravity this emerging technology holds and the responsibility that falls upon those in the tech community to protect it, keep it open, independent, free of the meddling of big-business and their political proxies, and instead, in the service of humanity. This entry was posted on March 4, 2013 by Amir Alwani. It was filed under news, science, tyranny, US and was tagged with 3D-printing.